Top 10 Mysteries of History – Part 1! In year 1853, Russian explorer R.K.Maak allegedly discovered a giant, partially submerged metal cauldron in the region of Tunguska. In following decades, more and more reports about these strange objects appeared, however, their exact origin and function remains unknown to the present day. The area where all these cauldrons were found, is today known mostly for the Tunguska event, that happened there in June 1908, and also remains unresolved to this day. Ancient name for this area was Uliuiu Cherkechekh, which translates as “the Valley of Death”. After the discovery of first cauldrons in 1853, subsequent expeditions in 1922, 1930 and 1936 reported finding more of these objects. According to descriptions, most of them were hemispherical in shape, from 50 to 60 feet in circumference, reddish-silvery in colour, and entirely made of steel. Their walls were about one inch thick, and their edges were ”sharp enough to cut a fingernail”. 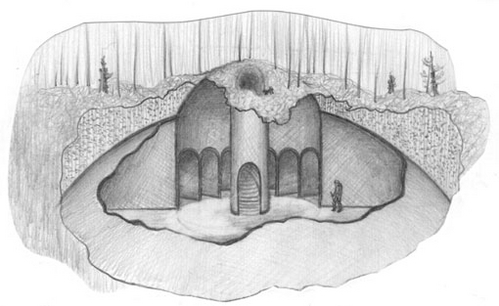 Natives reported that during the winter, they often used the cauldrons as a night shelters because of the unusual warmth radiating from their walls. However, majority of them soon started to exhibit symptoms similar to these of radiation sickness. 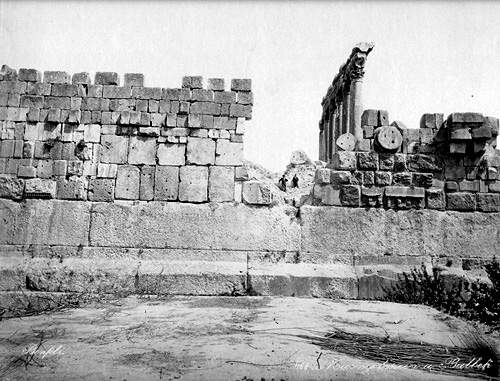 Located in the town of Baalbek, Lebanon, exact origin of these giant stones remains unknown to the present day. Also known as the ”trilithons”, they used to form the base of the ancient temple dedicated to god Baal, which, according to archeologists, dates back nearly 8,000 years ago.The original complex was destroyed by ancient Greeks and Romans, during construction of their own temple complex, Heliopolis, however, these giant stones remained, and served as a foundation for the later temples. Each of the ”trilithon” is around 65 feet(20 m) long, 14 feet(4.3 m) high and 12 feet(3.6 m) wide, weighing around 800 tons. They are among the largest ancient monoliths ever made, however, not the largest. In the quarry nearby lies even more massive building block, sometimes called ”Stone of the Pregnant Woman”, weighing around 1,240 tons. Many historians tried to explain the origin of these stones and the way they were transported, however, none of their explanations gained widespread acknowledgement and acceptance so far. One of the best known mysteries of the South America, these geoglyphs are located in the Nazca Desert in southern Peru. The lines were probably made by removing the uppermost layers of the desert soil, uncovering the white bedrock underneath. The largest of these line formations are more than 660 feet(200 m) across, portraying various animals, as hummingbirds, spiders, monkeys, sharks, llamas, jaguars and humanoid figures. They were first discovered in 1927 by Peruvian archaeologis, and further examined in years 1940-41 by historian Paul Kosok, who proposed a theory that the lines were created for astronomical reasons; as a markers on the horizon, showing the rising points of the sun and other celestial objects. There are numerous theories, about how the ancient Indians achieved such a geometric accuracy when making the lines. Numerous scholars have theoretized, that the use of simple tools, mathematics and surveying equipment would be enough to make most of the lines. According to scientists in the University of Kentucky, these lines could be easily reproduced today, without use of any remarkable technology. However, their purpose still remains an unsolved mystery. Many experts think that they were representations of constellations, or used for ceremonial purposes. Alternative theories propose, that the lines were either work of aliens, or that they were drawn to get extraterrestial attention. The Saqqara bird is strange, bird-shaped wooden object, discovered in 1898 during excavation of ancient Egyptian tomb of Saqqara. It has been dated to be manufactured sometimes around year 200 BC. According to majority of archaeologists, the Saqqara bird was probably made as a child’s toy or a weather vane. However, unlike other ancient Egyptian avian sculptures, the Saqqara bird has very unusually shaped tail, and is also legless. This has led to various controversial theories, such as being miniature representation of aircraft or glider. Contemporary Egyptian archeologist and parapsychologist Khalil Messinha has speculated, that the bird has vertical stabilizer on his tail, and its wings were intentionally shaped to resemble those of an aircraft. In year 1942, enlarged models of the Saqqara Bird were tested in aerodynamic tunnel in an attempt to prove this theory, however, the glide performance was disappointing, and models were completely unstable without additionally added tailplane. Nonetheless, further research has shown significantly better results. According to Simon Sanderson, Liverpool University aerodynamics expert, the Saqqara Bird could acually fly quite well, if not better than many modern gliders, being capable of producing four times its own weight in lift. One of the most baffling archaelogic discoveries of last 80 years, the Baghdad Battery was found in year 1936 in the village of Khujut Rabu, Iraq. It was composed of three pieces, a terracotta pot, approximately 5 inches(13 cm) tall, with 1.5 inches wide mouth. The pot contained a cylinder composed of a rolled copper sheet, housing a single iron rod, isolated from the cylinder by plugs. According to available evindence, this artifact has been manufactured in the Sassanid period. 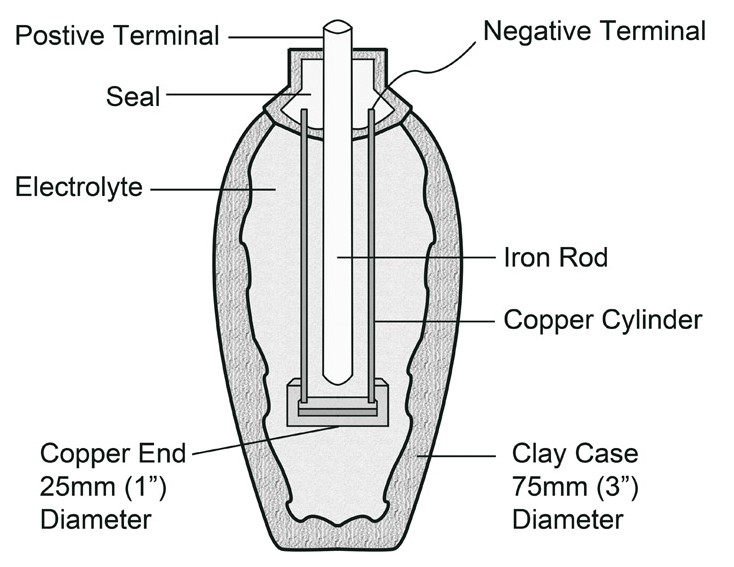 In year 1940, German archaeologist Wilhelm König speculated for the first time, that the Baghdad battery could have been used as galvanic cell, for plating gold onto metal objects. This hypothesis was based on object’s design, and chemical signs of acidic corrosion on all three parts of the artifact, possibly caused by the use of acidic electrolyte. However, there are many problems with the interpretation of the artifact as galvanic cell. We don’t have any evidence of alleged Sassanid use of electricity, be it wires, conductors or other electrical equipment. 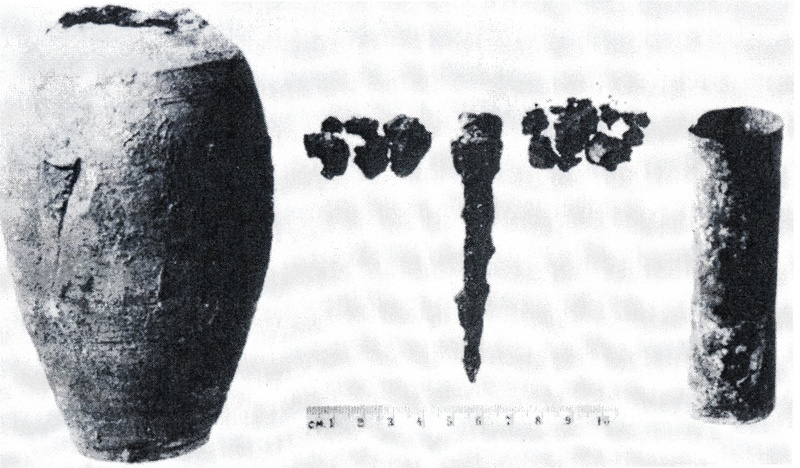 According to majority of modern archeologists, the ”Baghdad Battery” was actually used as a storage jar for sacred scrolls. Acidic corrosion was perhaps caused by decay of the papyrus inside, leaving a slightly acidic organic residue.